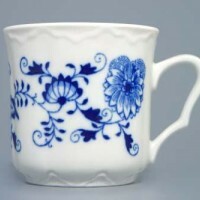 In blue flowers porcelain section Vernerporc eshop offers porcelain crockery decorated with forgotten decoration. 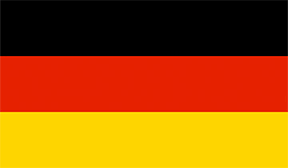 We offer the Ofelie and Bernadotte product lines, supplemented with products that are not subject to a range of shapes. 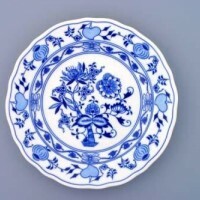 Dining, plate, coffee, tea, compote and cake sets in the porcelain porcelain section are suitable, except for cutlery, for use in a dishwasher and microwave oven. 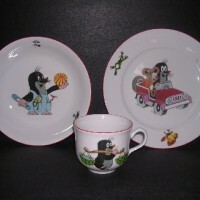 It is possible to combine products from different manufacturers in the household because they all use the same decorative decal. 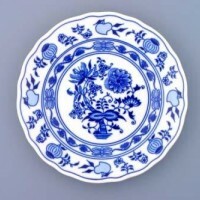 PORCELAIN MEMORIES? 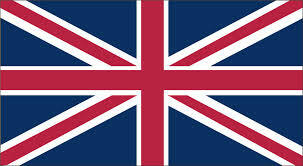 the optimal opportunity to purchase a nice, valuable and practical gift. 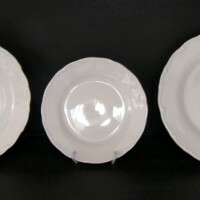 The assortment of forgotten porcelain is wide and you can choose dining sets, coffee, plate, tea and compote or cake sets. There is a choice of enough separate products. 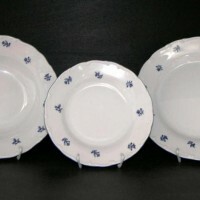 What types of hunting porcelain our online store offers? 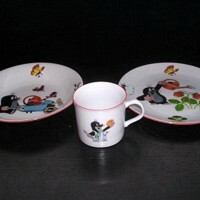 Tea sets and many more. 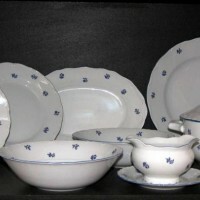 Concordia Bernadotte FLOWER Dining Set 26 piece blue line. 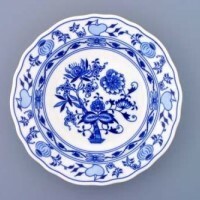 Concordia A set of plates Bernadotte FLOWER 292051 18d. 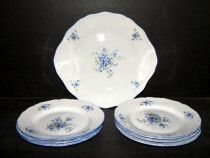 Concordia Bernadotte cake set, 7-piece forget-me-not. 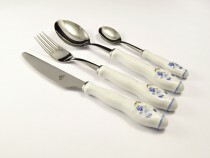 Moritz Zdekauer Dessert set Ophelia forget-me-7pcs. 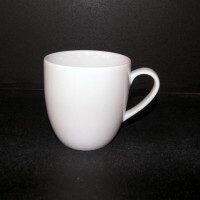 Becom Spinning jar, set of 12 rosettes. Český porcelán Cup and saucer D decor forgetmenot 0.4 l.
Moritz Zdekauer Cup and saucer Ophelia forgetmenot 140 mm 2pcs. 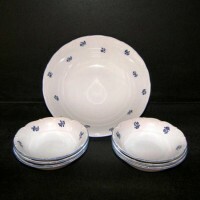 Moritz Zdekauer Cake set Ophelia forgetmenot 7pcs. 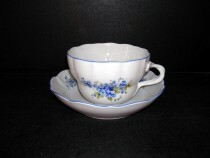 Moritz Zdekauer Cup and saucer Ophelia forgetmenot 6pcs 140mm. 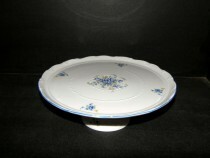 Moritz Zdekauer Cake plate Ophelia forget-me-leg 30cm. Moritz Zdekauer Tea set Ophelia forget-me-15pcs. Český porcelán Great pitcher, forget-me-decor. Moritz Zdekauer Ophelia whatnot 592M 3 storey. 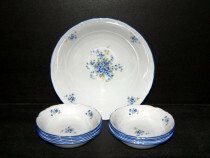 Concordia Cup and saucer Bernadotte FLOWER 0,2 l 6 pieces. Concordia Tea set Bernadotte FLOWER 15pcs. 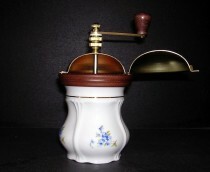 Concordia Bernadotte Cup and Saucer 0.15 liter Coffee FLOWER 6 pieces. 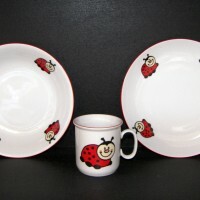 Concordia Coffee set Bernadotte FLOWER 15pcs. 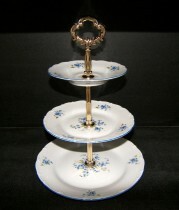 Český porcelán Candlestick 3-spoke decor forget-me-25 cm. 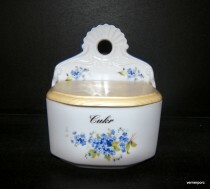 Český porcelán Butter jar for decor angular forget-me-250g.